On Saturday 7th October, Edinburgh staff and students can be seen on-screen at the Edinburgh Filmhouse, in a film which recounts the life of the famous astronomer Charles Piazzi Smyth, and re-creates his famous experiments of 1856. In the mid-nineteenth century Charles Piazzi Smyth felt sure that the right way to do astronomy was from the top of mountains, not from smoky cities like Edinburgh. With his geologist wife Jessie, he organised an expedition to Tenerife to prove he was right, living and working on top of Teide for several weeks. He made classic experiments on the sharpness of seeing, the solar spectrum, the zodiacal light, and was the first person to detect infra-red radiation from the Moon. On his return he wrote a popular best seller as well as technical reports, and Astronomy has never looked back since. 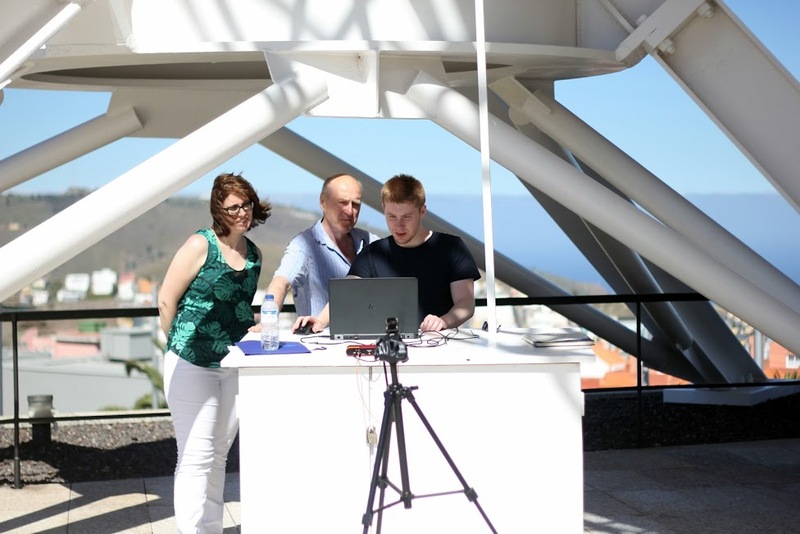 In 2016, several Edinburgh students travelled to Tenerife, met up with Spanish students, and lived on the mountain, re-creating Piazzi Smyth's experiments (with some much better equipment!). This experience was filmed as part of "A Residence Above the Clouds", a film about Piazzi Smyth by Spanish film-maker Guillermo Carnero-Rosell. The film is partly a record of our 2016 trip, partly an account of Piazzi Smyth himself, but also a blend of science, art, and music. For part of this experience we were joined by the Queen guitarist Brian May, who relived his experiences as an Astronomy student in the 1970s, measuring the zodiacal light in Tenerife. The film is having its UK premiere at the Edinburgh Spanish Film Festival, on Saturday 7th October in the Edinburgh Filmhouse. 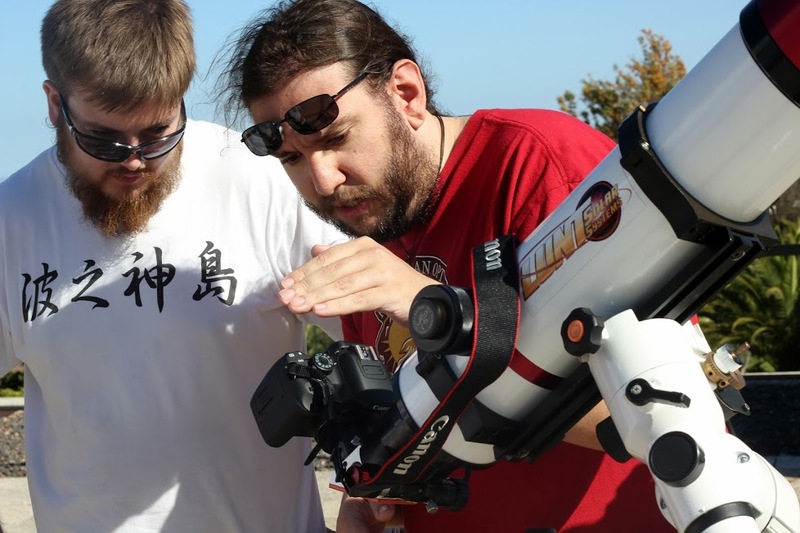 Craig Brownhill and Josep Perello Font, preparing equipment for double star observing. This article was published on Oct 2, 2017 .